than relative low-resolution competitive models. Do It All. Multiple 1D and 2D codes at the same time! 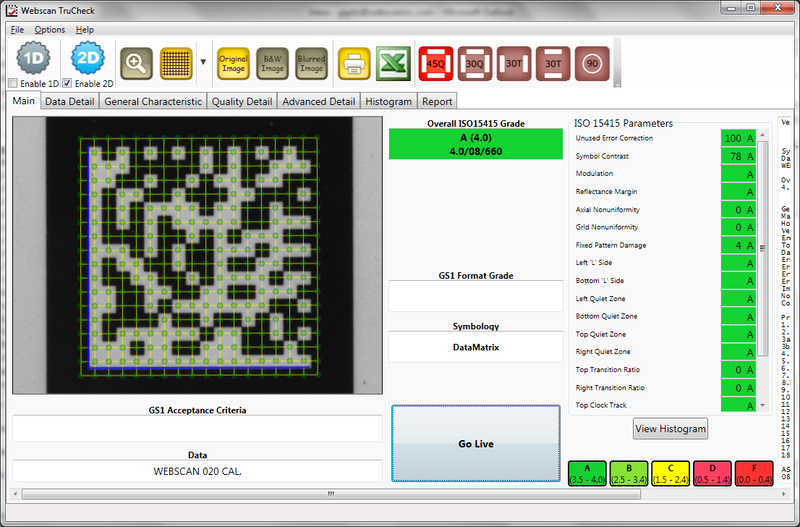 Verify your largest and smallest 1D and 2D codes with the same unit and get accurate results every time! Complies with ISO/IEC 15415, ISO/IEC 15416, ISO/IEC 15426-1, ISO/IEC 15426-2. Its 5MP camera provides the best resolution in the industry, giving you the ability to evaluate entire labels with multiple 1D and 2D barcodes with X- dimensions down to 7 mil quickly, easily and confidently. 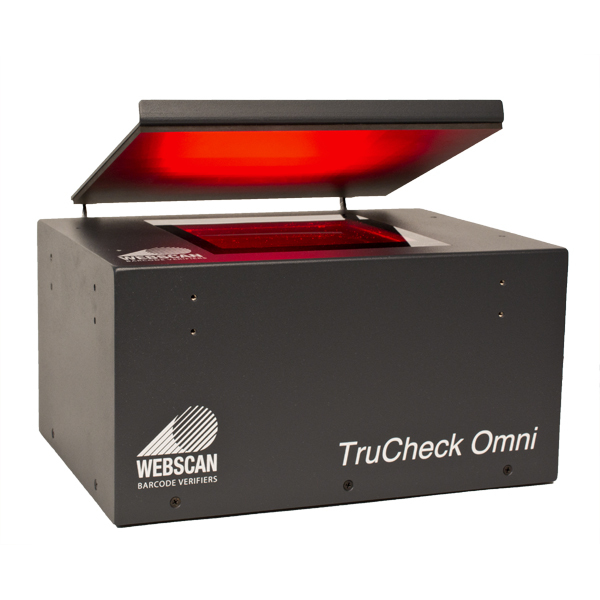 The small footprint of the TruCheck Omni’s rugged housing frees up space on your desk or production line. Solid-state LEDs run cool and last longer than the hot, expensive halogen lights of other verifiers. When the unit is not in use, exit “Live Mode” to turn off the LEDs, saving your company money in energy bills. The hinged cover holds labels flat for precise verification results and protects the window when not in use. Check the syntax of 1D and 2D barcodes to confirm that the data content does not have errors. The TruCheck Omni™ quickly shows you the content and meaning of GS1 coupons, pharmaceutical labels with expiration dates and lot numbers, or any data which follows common industry standards such as GS1 application identifier formats.